Essential Fatty Acids are polyunsaturated fatty acids that can't be produced by human body but play vital roles in body's metabolism. They can only be taken by diets. Long-chain polyunsaturated fatty acids such as Eicosapentaenoic acid (EPA; 20:5) and Docosahexaenoic acid (DHA: 22:6), which are well-known Omega-3 fatty acids, are not only low in daily diets, but also are readily destroyed by oxidation and by food processing such as heating. Large body of scientific and clinical evidence has convincingly proven that these two omega-3 fatty acids are crucial to maintain proper physiological functions of many body systems. 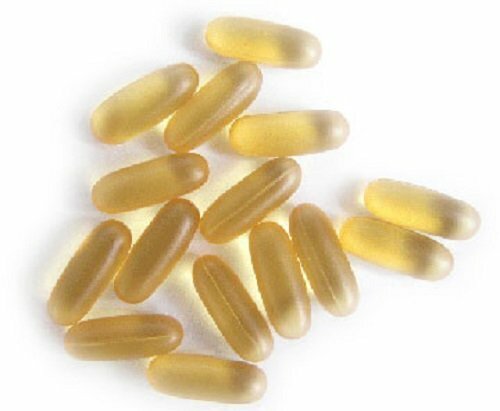 Etherea Omega-3 fish oil soft gels are made of deep-sea fish (Anchovy) oil from Peru with cutting-edge technology and state-of-arts machineries in a Good Manufacture Practice (GMP) environment. Our Fish Oil Softgels are enteric-coated, which means that you get the benefits of fish oils without the fishy aftertaste that you might encounter without this special coating. For more product details, please visit www.etherea.ca or contact jane@etherea.ca. If you have any questions about this product by Etherea, contact us by completing and submitting the form below. If you are looking for a specif part number, please include it with your message.